Samsung recently announced that their Android-powered Galaxy S II Series of smartphones will be available in three separate models beginning September 16th. 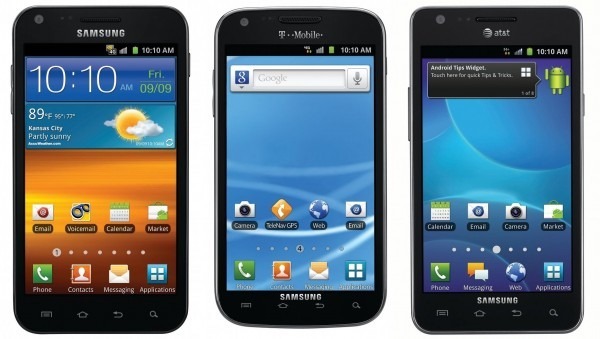 The Samsung Galaxy S II Series will be available on AT&T, Sprint, & T-Mobile. The Samsung Galaxy S II from AT&T features a 4.3” Super AMOLED Plus display, a dual core 1.2GHz processor, and AT&T’s brand new 4G speeds. The Galaxy S II will be available from AT&T on October 2. The Samsung Galaxy S II is dubbed the Epic 4G Touch by Sprint and features a 4.52” Super AMOLED Plus display, a dual core 1.2GHz processor, and 16GB of built-in storage. The Epic 4G Touch will be available for $199 beginning September 16. The Samsung Galaxy S II from T-Mobile boasts a 4.5-inch Super AMOLED Plus display, 2MP front facing camera 16GB of internal storage. The Galaxy S II will be available from T-Mobile later this fall. Each of these devices clearly feature the latest powerful hardware, yet they lack an easy way to sync with Microsoft Outlook and other CRM databases. Using CompanionLink, it’s possible to sync contacts, calendar, tasks and notes between the Samsung Galaxy S II Series and CRM software such as Microsoft Outlook, ACT!, Palm Desktop, Lotus Notes, and more. You can sync direct via USB, over local Wi-Fi, via our Secure Hosted wireless, or via Google. Want to sync the Samsung Galaxy SII with Outlook? This entry was posted in Announcements, Support Updates and tagged android, at&t, galaxy s ii, outlook, samnsung, sprint, sync, tmobile by David. Bookmark the permalink.